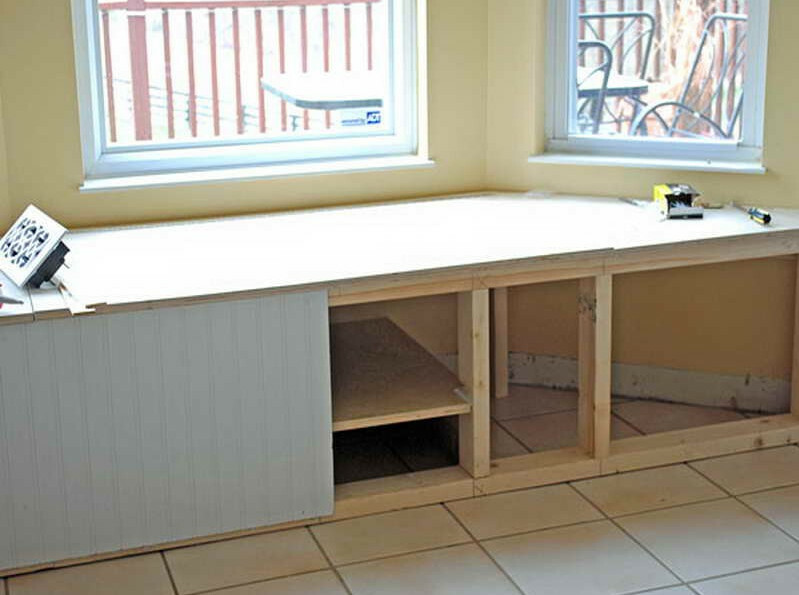 Want a perfect corner bench under two glass windows? If so, make sure that the longest part of the bench’s sitting area is right below the largest glass window in the room. The bench should end right below the tinier window, which displays metal chairs in the background. White tiles make a lovely flooring material.